This is absolutely disgusting! Another “muslim“ terrorist group has come out with a video calling for destruction, this time in China. Where do these people get the nerve to call themselves Muslims and file their acts under Islam ??! Islam was never about violence and terrorism. Islam even explicitly forbade killing innocent people. Even our greeting is that of peace. So why do they pollute Islam’s name in their very unislamic and inhumane acts ? Perhaps the most disturbing sentence in this report is the: “call to the global Muslim nation”. I have always wondered why do they inject Islam into their acts ? They can’t possibly hope to invite people to Islam through their hideous deeds, so why do they call themselves “muslim“ groups and shoot videos in front of Islamic banners ? Also, why do many idiots portray their wacky ideas under the banner of Islam ? (Like this guy who is calling for people to procreate like rabbits for the sake of Islam). The only explanation i could find is that religion in general buys them sympathy. Religion, in my opinion, expands the audience of these people beyond their vicinity to people around the world because religion is global. Religion also appeals to more basic instincts in people: All major religions require people to believe in some stuff faithfully, and so these hijackers play on that cord. This is not specific to Islam, but could be seen in other religions as well; the crusades rallied people from all over Europe and were carried out in the name of Christianity while it was mostly about territory and securing routes for movement and trade. Similarly Baruch Goldstein killed 48 Muslims in the name of Judaism while they were praying in Al-Haram Al-Ibrahimi (Cave of the Patriarchs). None of these acts are indicative of Christianity and Judaism, and similarly these terrorist acts are not indicative of Islam. But, injecting religion into this does buy the perpetrators sympathy and understanding from their denominational audience. I do not deny that there are many Muslims around the world who have been treated unjustly. I also do not deny that there are legitimate and true Muslim groups that are working and even fighting to bring about justice. But the few loud lunatics are overshadowing the majority of Muslims and are not doing us or Islam any good. There are 1.6 billion Muslims like me around the world, and the actions of these very few idiots are ruining it for all of us Muslims, and indeed for all of us citizens of the world. 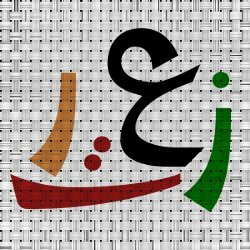 Discussion: Arabic Wikipedia, What do you think we should do ?